On March 2nd, the 1st edition of the Biomedical Engineering Talent Forum was held at the University of Barcelona (UB), where more than 200 Biomedical Engineering students participated with about 20 companies and institutions in the sector, such as GroupPulso. 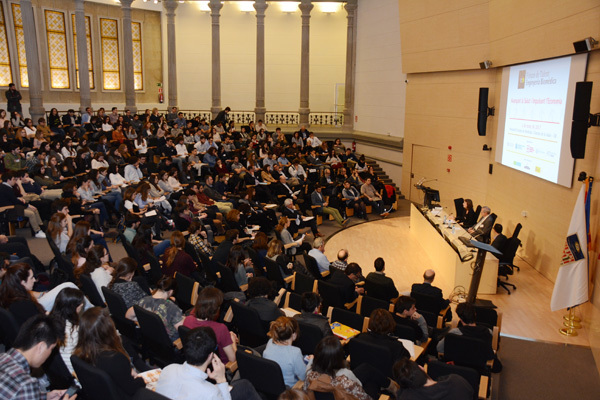 The Forum was organized by the University of Barcelona, Pompeu Fabra University and the Polytechnic University of Catalonia, together with the Spanish Federation of Health Technology Companies (FENIN) and Health Tech Cluster, which Grupo Pulso currently holds the presidency. The presentations of the day certified the “exponential growth” in the medical technology sector, which currently generates 27,000 jobs in Spain, direct and indirect.